On July 27, just a few days before the publication of this issue of Synchronized Chaos, millions of people around the world tuned in for the opening ceremony of the 30th Olympiad. 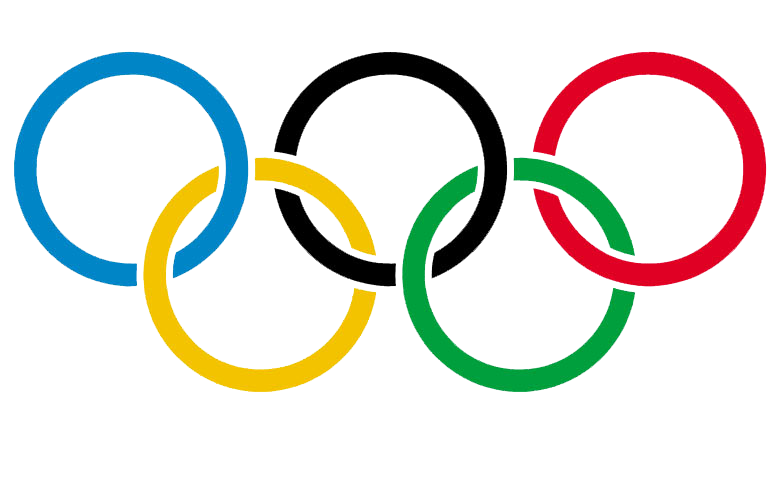 Since then, Olympic fever has continued to take its characteristic grip on the popular imagination, and quite a few commentators have remarked on the intense level of dedication which it takes to participate in the Games. Olympic athletes must put their bodies at risk and devote years of their lives to rigorous physical training, yet they often receive very little recognition or financial gain for their hard work. Instead, they dedicate themselves to their sports purely for the joy of competition and the self-validation which comes from participating—and, therefore, we thought it would be appropriate to make the August issue of Synchronized Chaos a study in dedication. As many readers of Synchronized Chaos will certainly be aware, the life of an artist often requires just as much dedication and tiring labor as that of an athlete; the hours which artists spend honing their craft might be compared to Olympian exercise regimens. In this issue, we have two pieces dealing with artists who are committed to constantly bettering themselves and their work. First is Christopher Bernard’s review of “The Vertigo of Identity,” the exhibition currently featured at the San Francisco Museum of Modern Art. For more than thirty years, the challenging pieces of photographer Cindy Sherman have divided and inspired the art world, and Christopher provides us with some very interesting thoughts on her photographs and their relation to the notion of the self. 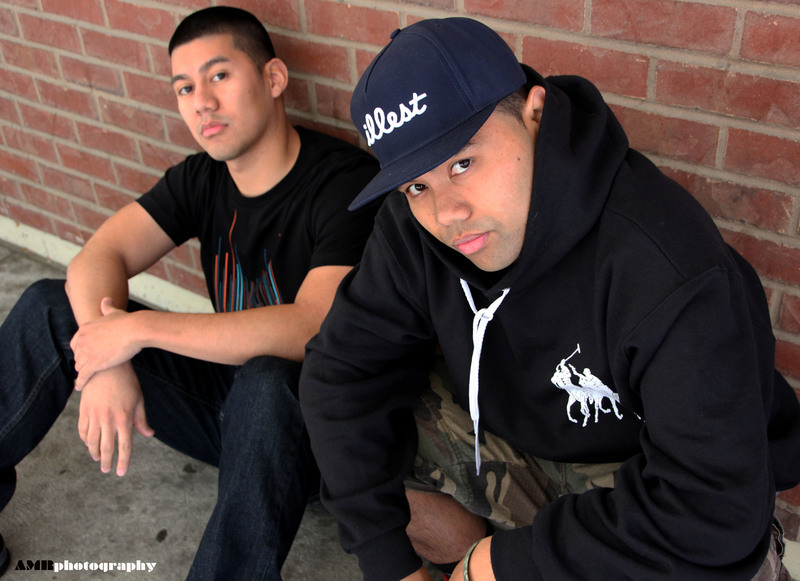 Elsewhere in this issue, we’re presenting some of the work of Hitman and Rezrection, a young hip hop duo who have recently begun to electrify the Bay Area music scene. Rather than rapping exclusively about materialistic pursuits, they have dedicated themselves to producing songs which support more positive values, and you can hear three of their new songs in this post. 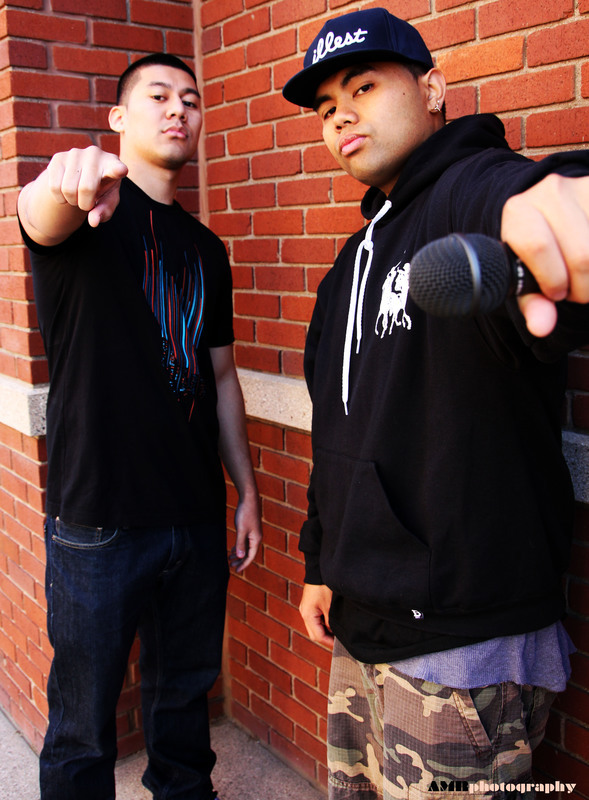 Be sure to check out “Hip Hop” for some of their thoughts on the genre in song form! Art and athleticism, of course, are not the only fields where dedication is required for success; the pursuit of scientific knowledge requires an equally heavy commitment. The latest installment of Leena Prasad’s monthly column Whose Brain Is It? takes on the topic of Attention Deficit Hyperactivity Disorder, and it describes how increased knowledge of its mechanics, combined with a dedicated focus on lifestyle improvement, can be greatly beneficial for people who suffer from the condition. Our latest book review also deals with medical and scientific issues. In this article, Joy Ding takes a look at Dr. Loretta Breuning’s Meet Your Happy Chemicals, which describes the biological mechanisms behind the emotion of happiness and explains how humans can dedicate themselves towards understanding and increasing the pleasure they get out of life. Regular Synchronized Chaos contributor Linda Allen has several new poems in this issue, and several of them depict their narrators’ dedicated drive to accomplish a particular objective. The goals vary from the validation of one’s existence to the provision of aid to those who have been unjustly harmed to the achievement of a break with one’s past, but they share a common sense of admirable determination. Another of this issue’s poetic contributors is Sam Burks, who gives us a set of interconnected “road poems” whose narrator travels the highways ofAmerica. Each poem take the sights and sounds which arise from the journey as springboards for the contemplation of larger issues, and the works demonstrate two kinds of dedication: the determination to explore the nooks and crannies of the country as well as a commitment to philosophical inquiry. Religious beliefs are another source of strong philosophical dedication, and Kim Brown expresses a sense of spiritual commitment in her poem “Jesus Insert.” The work depicts the sense of joy associated with religious devotion, and it certainly fits well among these works which examine dedication and loyalty. Our fourth and last poet to be featured this month is Faheemah Ali. Combining a variety of memorable metaphors with an effective economy of language, her poem “Rummage” provides a snapshot of a formerly dedicated and loving romantic partnership in the midst of a process of gradual decay. The lack of dedication can be a telling character trait as well. In this issue, we’re honored to present an excerpt from Newman-X, an as-yet-unpublished novel by Peter Lynch. Its protagonist has a worrying history of putting drugs and procrastination before necessary work—and yet there seems to be more behind his past failures than a mere lack of commitment. We hope you enjoy this month’s issue of Synchronized Chaos Magazine! As always, feel free to leave comments for the contributors and if you’re interested in submitting to the magazine, send your work to synchchaos@gmail.com. the falling of the cross…. He that lives, is right besides me. In Him I can depend, and in Him I can trust. These People who serve the devil, want to steal your joy. People with small minds discuss other people in a negative fashion. Through Christ, I can move a mountain, with the faith of a mustard seed. I will die for God, I want to live for God right now. There is no peace in the world; only the peace that God gives. The flesh will fail you, strain and drain you, God never will. God will rejuvenate and spring you up, as a bountiful diamond. I am yours and you are mine forever! 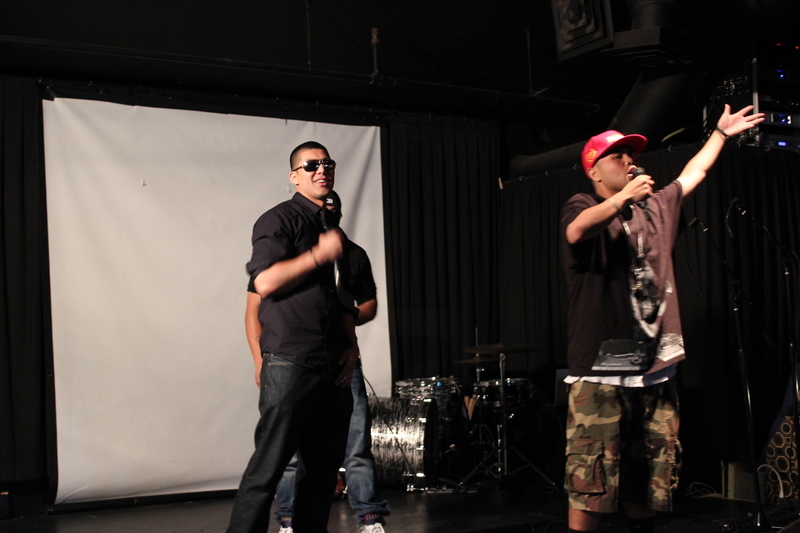 We are two MC’s that go by the names Rezrection & Hitman. We’ve been rocking crowds for about two years now and we have no plans on stopping any time soon! Our music is as diverse as our fan base, and we wouldn’t have it any other way. We are influenced from everything to Rock, Old school hip hop, R&B, techno, and alternative music. Not only do we have fans in the hip hop community, but we also have a lot of fans in other communities as well who appreciate quality beats with quality lyrics. We aren’t your typical rap artists who just rap about money, drugs, and women, as we feel like we have more to offer the world with positive lyrics and songs with messages in them. We put a lot of emotion in every song and in every verse, and we hope that our listeners feel everything that we’re trying to say. Thanks for listening to our music and a special thanks to Synchronized Chaos for featuring us in their magazine! If you enjoyed listening to these excerpts from “Combo Breaker,” you can find plenty more of Rezrection and Hitman’s music online at http://soundcloud.com/rezrection-and-hitman. Their songs are also available in their press kit at http://www.ourstage.com/epk/mmxeymxeynkq, which also features details about the duo’s future shows as well as their coverage in the press! Who doesn’t want to be happy all the time? But as Dr. Loretta Breuning explains in Meet Your Happy Chemicals, constant happiness is simply not the point. The happiness reward system that we humans have inherited from our primate ancestors (and which we share with all mammals) is just that: a reward system meant to encourage us to take actions that promote survival. If it were always on, it would lose its effectiveness to flag survival-positive actions. What, then, can we do about being happy more often, and less frequently unhappy? While happiness self-help books have often come up with lists of “good actions” such as the creation and maintenance of close and trustworthy relationships and the availability of meaningful work, Dr. Breuning puts it into a new context: that of brain chemistry. The four happiness chemicals – dopamine, endorphin, oxytocin, and serotonin – are released respectively when we approach an award, are in pain, bond with and/or trust another, and accrue respect. While in prehistoric times, the chemicals may have released for more obvious survival needs such as hunting food (dopamine) or masking immediate pain from injury so we could escape a dangerous situation (endorphin), the release of the happiness chemicals in a modern life may seem more cryptic. Here is where Dr. Breuning’s narrative really shines. The particular wisdom of the book is its ability to distinguish each of the four happiness chemicals, provide examples for when they are released, and how we can build new happiness circuits – basically new ways that we can be happier. While most triggers for happiness are built at a young age, adults are able to build more happiness circuits, it will just take a little effort. Specifically, 45 days. That’s the amount of time it takes to build a new and persistent neural pathway in the brain, one that will release happy chemicals when triggered. Dr. Breuning also provides interesting material on the usefulness of unhappiness as nature’s alarm system (Chapter 2: Good Reasons to be Unhappy) and exercises to create more circuits for each of the happiness chemicals (Chapter 5: Building New Happy Circuits.) While a lot of these tips are not necessarily novel–for instance, one of the exercises for building new dopamine circuits is to celebrate small steps and adjust expectations so they are more realistic–the neurochemical context which Dr. Breuning uses to frame the exercises is very refreshing. In contrast to most self-help books, in which exercises for improvement are justified on the basis of anecdotal information, and a certain well-of-course reasoning, Dr. Breuning’s book grounds the exercises in neurochemical fact, giving exercises like “laugh” and “break an unpleasant task into smaller parts” new life. In brief, the biggest gift that Meet Your Happy Chemicals gives us is a greater understanding of our own brains, the kind of understanding that will hopefully lead to happier lives: better acceptance of unhappiness, and ways to pave our own ways to more happiness. Joy Ding is a free-lance writer and marketer living in San Francisco. You can reach her at joy.j.ding@gmail.com. The soft grass beneath my feet slightly tickled my senses. The light breeze brushed past my arms. I had never felt sensations like this before, nothing so real. I pushed myself past the field of marble slabs as I made my way to a small group of people. The senses that had become so prominent seconds earlier now faded with my focus on those who stood with solemn stares. These people felt great pain and sorrow. As I came closer to the group I noticed that these were people I once knew. My family, my friends, and others I loved. They stood around a lifeless vessel that I once called home. Realization pulled me from the blissful ignorance; it was then that I remembered who I was, and what I had done. I realized that the soft grass was barely real to me at all, I could feel nothing. It is such a selfish thing to die; to leave the ones I loved behind. The eyes of my mother were swollen and wet, while my father drew quick, angry breaths. What was the emotion that led me to my death? The sadness, the anger, maybe both; no, it was shame that brought me to the end. Shame in myself, or rather the self that society looked down on. People I thought cared, abandoned me for a life with those who would never accept me. I can’t blame them though, if on the other hand I would do the same. It hurts me to know that, but there is no reason to lie anymore. A scream jarred me; it was a cry that shook the very foundation of my soul. No one took notice, and the scream had no origin. All mouths were still closed in that solemn silence, but the terror of the scream pushed me through the crowd. No matter how much I listened with no ears, and pondered with no mind, the screams evaded me. It was then that a force more powerful than fear propelled me. It was a pure force. The only way to truly describe the force would be angelic. I could believe in that; to believe in myself at that point would be to believe in some afterlife. The powerful force led me to a familiar face. A young woman I loved, stood silently shaking. Her sobs made no sound, but the scream resonated through my core; such pain and anger. Did I ever forget her? Was she in my thoughts as I cut myself so deep? Regardless of my previous intentions, I had to do something to comfort her. So I reached, with a hand that I knew was not there. The hand slowly touched her and quenched her hungry spirit. The sorrow remained, but the screams slowly subsided. It is such a shame that this proud soul was crushed by such a selfish act. As she moved away and our souls parted, I remembered why I loved her. I was incomplete once again. Instinct drove me to her. In her bedroom she slept with evil pressing ever closer. Unlike the force that pushed me toward her, this evil was present and visible. It was an ugly mass of darkness that hungered for destruction, and it was slowly inching toward her. The power of the mass mocked me with every move; it drew closer, but I could do nothing to stop it. So I let my tired soul sleep, and it wept with uncertainty. When my soul regained whatever consciousness it could muster, I saw her again. When my focus was able to gather my surroundings I noticed that I was in our school. Darkness seeped through the windows and the doors, as if night had already fallen. The desk next to her was empty; it used to be my desk. I sat and watched her. Her hair was unkempt and her eyes sagged, there was no life left. Just as a tear started to streak down her face, a thin ray of light leaked through the room. As I searched for the source I realized that the darkness was moving, slowly letting light through. The mass I saw the night before was growing. The core of the mass appeared and stalked toward my love, the force that pushed me to her in the beginning now pushed me to fight, but I was afraid. The dark mass shouldn’t have terrified me, I didn’t even have a body. The fear was something I recognized; the evil was familiar. It didn’t take me long to recognize the embodiment of shame, hatred, and torment. A grim fate of the spiritual world attacking the innocent; nothing could stop the omniscient power, especially not the feeble force that grew inside me. The force was love, but love could not save her. I needed anger, rage, and power. I needed to destroy this beast while it pushed closer to her. The more anger filled me, the farther I was driven from her. So I stopped; the anger subsided and was replaced again with hopelessness. The mass reached for her and the cry that hurt my soul before entered the small space of the classroom. More tears sprang from her eyes and she buried her shame in her hands. The beast grew in size. As time went on and the beast grew even more menacing and thick with the fear of both my love and myself; hopelessness gripped at my soul, and I still watched, waiting for it to take her. It wasn’t until the next night that something terrifying happened. The mass was in a mad rage that caused it to move rapidly around her small room. She sat quietly on her bed, eyes closed and focused. My soul began to fret as her intent became clear. The raging essence of evil was excited and it raced around the knife on her bedside table. If a soul could weep mine did. Just as I heard her soul cry out, I believe hers heard mine, because she opened her eyes and clutched her heart. Doubt was setting in. Although the hope inside of me was small, it pushed me to her. The closest I had been since my death. I was hungry for her touch, or even the light scent that came from her hair. I could not experience such things anymore. It was relatively easy to make my way to her while the darkness was distracted. It apparently had intent, and now so did I. Hope did not have to end with me; she could live a long, happy life as she was meant to. So I pushed toward her, full of ignorance and passion. The moment I came close enough to touch her; my soul began to tremble. I was there, able to feel the love I once felt again, but I knew it was impossible. At that moment my hand began to take form, and I began to sense a need for feeling within it. So I took that cold, dead hand and lightly brushed it on my loves dead cheek. What I felt was incredible. Her skin was ecstasy and it fed my radical desires. The implication of ever finding the sense again had evaded me to the point that the present feeling was obscured in uncertainty. My soul could only doubt the feeling. It couldn’t have been real. I couldn’t stop there. My hand continued to caress her face lightly as other senses began to return to me. I cannot remember when my lips gained their feeling, but I remember the sensation when my lips touched hers. I kissed her deeply, but she made no advance to recognize my existence. For some reason I had hope that she felt me. Memories then filled her mind and my soul, such love that could not be broken by man or spirit. The mass became even more erratic and began smarming around me. I hated the spirit. I wanted it to die, but was powerless to stop it. We had the same power, to tempt the senses of those bound by physical bodies. It was a power that meant nothing. Somehow I was being pushed. The spirit was advancing, and as it drew closer to my love I slowly drifted away. Soon my vision blurred and my surroundings became obscure. The physical vanished once again leaving me in the darkness, I could feel nothing. I was nothing. In that darkness I was wrapped in grief, misery, and anger. She was gone, and so I drifted farther and farther away from that life which I loved so dearly. I could not stop. As much as it hurt I continued to hang on to that pain as I fell deeper and deeper, with no escape. That pain was life. No sense of time could dictate how long I fell in that pit, before the pain took me. So sharp and vicious was the knife that pierced my essence. At this point the prospect of letting go reached a new height, to fall to the bottom of that forsaken pit and end what life I had left. To give my life up would be to destroy everything I loved. She could not fight the evil alone, I saw that myself. She wouldn’t withstand the temptation without me. I needed to comfort her. I could not stop! Light showered the darkness. Dare I say hope, entered what was left of my soul. After falling so far my soul was ripped to pieces, most of which still lay in the darkness, but I pushed forward. I made it through the breach of incredible light and found myself in darkness again. The mass was incredibly thick; no light anywhere, except one faint glow across the darkness. I stepped closer. The thick mass made it hard to traverse the room, but I still pushed forward. The enemy was all around me, it had consumed everything in her life, and all that was left was that faint light. The darkness wanted hope, to feed on it and destroy it. I extended myself toward the light; I felt the life, however faint, slowly shifting. When I reached the light I found my love. She held a knife loosely in her hand while she gave off soft sobs. I reached for her but my broken soul could not comfort her. The darkness was taking on a somewhat human form. It circled her with lust and cruel intent. When it saw me the beast raised its dark hand. My love followed the motion blindly. The knife was then ready to take her life with the beast’s hand. Just as the darkness plunged its hand into its own heart, I threw myself at my love. I felt incredible pain reach every part of me. The knife ran through me, and into her. I was lost then. As the darkness engulfed her spirit I faded into my own darkness, but this time no hope remained. I let it take me deep, where I could never hurt anyone again. Through the darkness I suddenly felt something I thought was lost. I could feel soft cotton on my feet, and the touch of skin on my hand. I opened my eyes to see darkness, but not the darkness I feared. I saw night. The body that lay unconscious next to me was cold and still. While my mind tried to regain consciousness I felt for my mortal wounds. I had no scars, except for those left on my soul. With new life I stood and walked out of my house. It was dark and cold, only a single orange light faintly glowed in the distance. The light was shrouded by a thick fog that made the darkness even more prominent. That is when I noticed that despite our efforts we were drowning; slowly suffocating in the thick omnipotent darkness. Joseph Johnson is a senior English major at Georgia Southern University. His work has appeared in The Wiregrass, as well as in a previous issue of Synchronized Chaos.